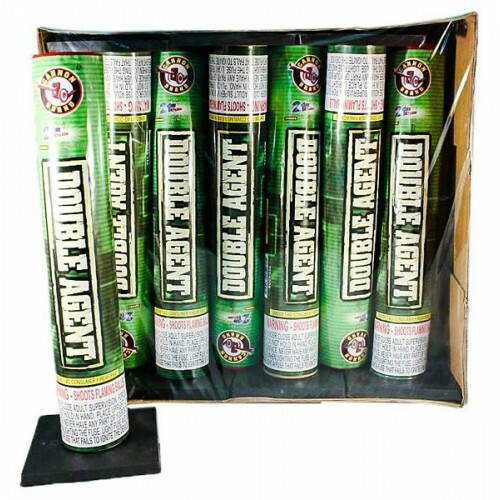 The Double Agent single shots by Cannon Fireworks. We tested this item in 2017. Its a decent double break, but not quite in the same league as the Fusion Mass detonation, hence the significant price difference to make it more comparable. You do still get 40g of powder per tube! For $56, it is great value for money! Max 1 and 3/4" Tubes. Buy yours from Territory Day Fireworks today, Darwins favourite fireworks shop.